The Standing Stone: Bolton Hill, Bullaun Stones, Co. Kildare. Bolton Hill, Bullaun Stones, Co. Kildare. 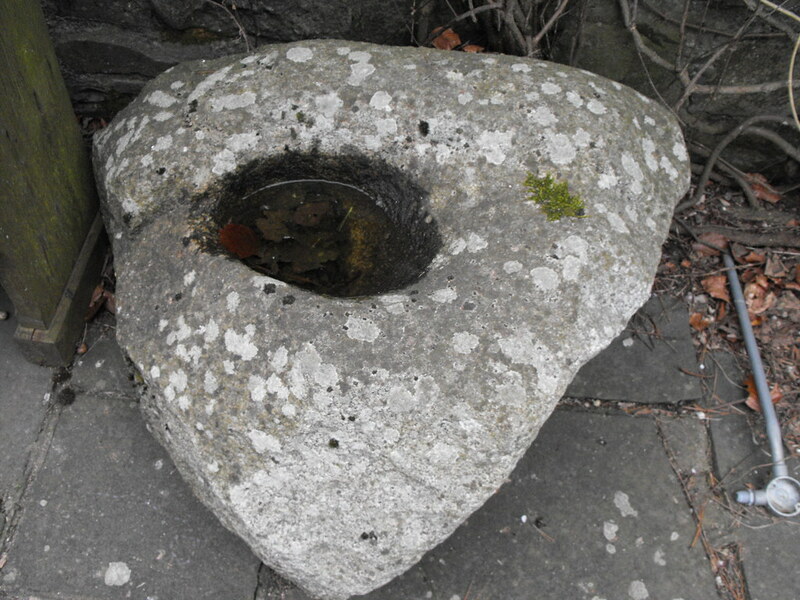 Location – In the grounds of the Moone High Cross Hotel just next to the N9. Grid references are for the hotel. 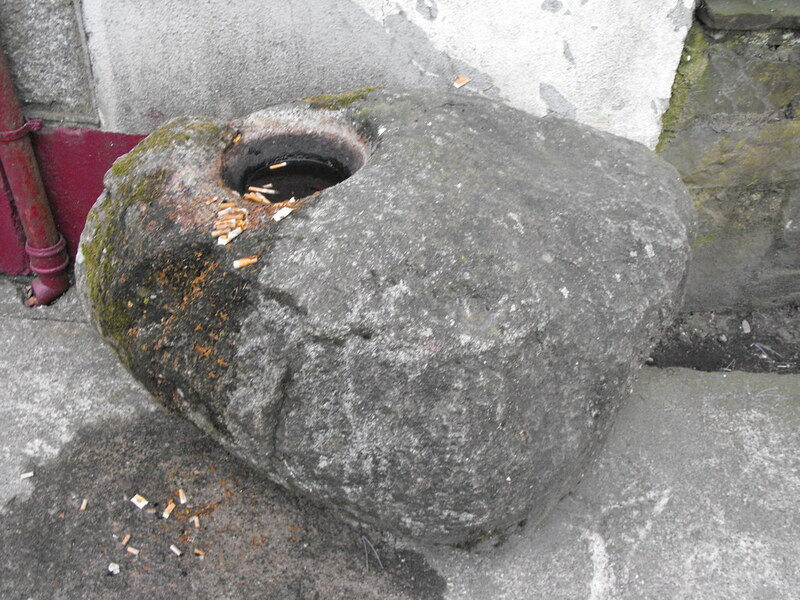 Description and History – There are four nice bullaun stones here but they are in a bad location and are basically ash trays for the Moone High Cross Inn. 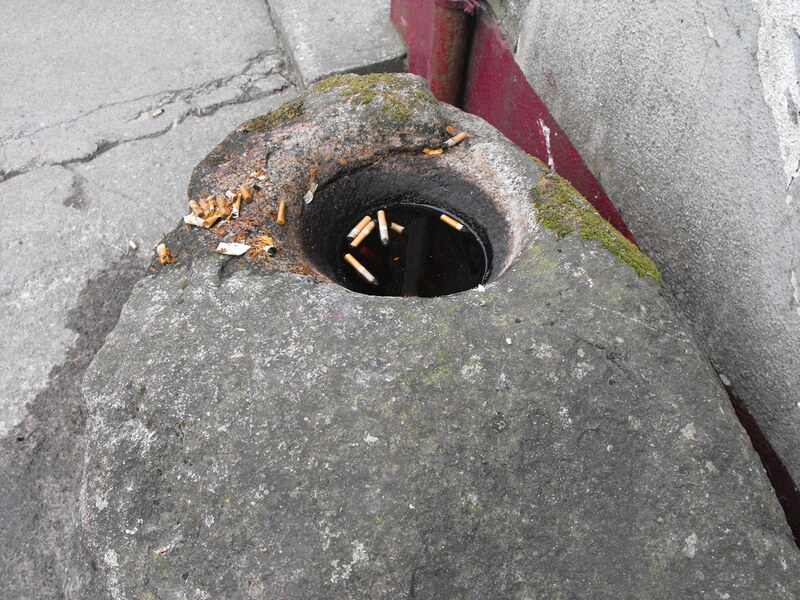 One is located by the entrance of the bar and really has been used as an ash tray and has a single depression. The second is located directly across the road by a gate and is a monster with two large depressions in it. 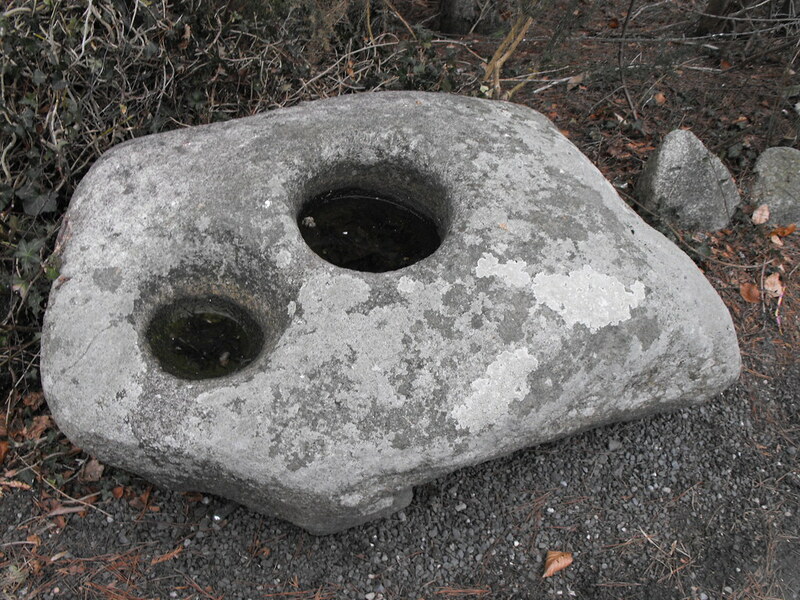 These two stones were from the Castledermot area. The other two bullauns are now being used as garden ornaments in a small garden by the side of the hotel. These are smaller, found locally and have a single cup in both. These are a great collection and are just in a bad spot. 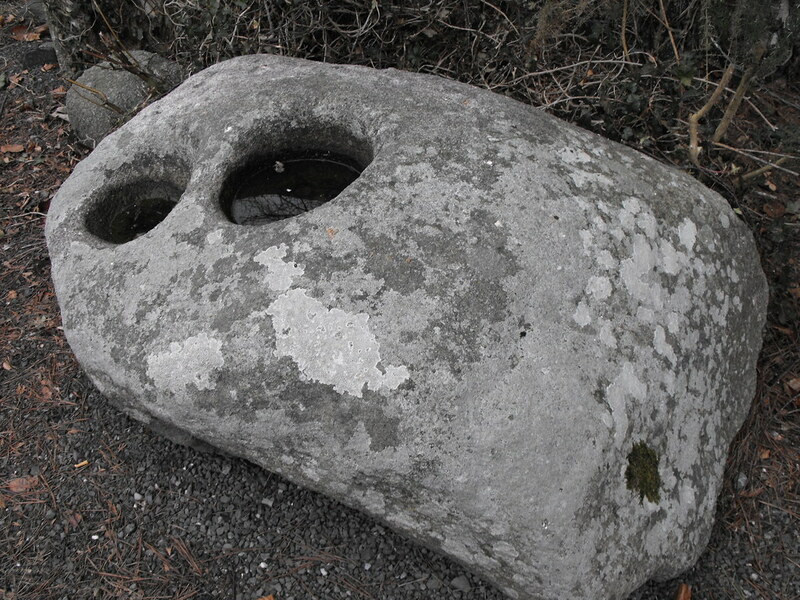 Maybe the two larger stones should be relocated to Castledermot and the other two can go to be with the Moone High Cross...at least they would be back at ecclesiastical sites. Difficulty – Pretty easy to find and have a pint while you’re here...if you’re not the driver of course. It's disgusting how it is being used. This is a lovely stone...and huge. 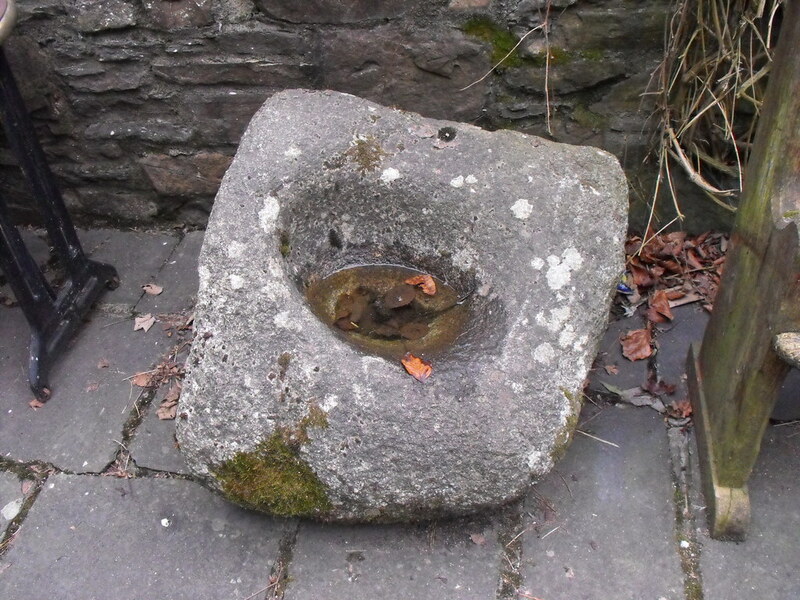 Part of a pair now used as garden ornaments. These two are used as bookends to a bench.